Picking up any musical instrument could prove both challenging and confusing. There are countless techniques and sounds to learn and a wide variety of accessories that seem to slow you down instead of helping you improve your skills. 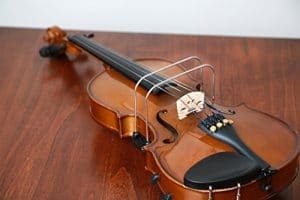 The violin is no different than other instruments, so this is why we decided to come up with a list of useful and reliable accessories any beginner should consider. What is the second thing you need to play the violin apart from the actual instrument? A music stand to keep all your sheets, notebooks, and accessories. A high-quality music stand will help you focus on your skills better and quickly pick up all the music notes even if you haven’t played a certain song before. Although there are countless types of music stands available for all pockets, we suggest investing in a collapsible and adjustable one. This type of product is everything you need to help you study and practice anywhere you go. The collapsible size makes it easy to carry with you everywhere and even make it fit in your backpack. It won’t occupy too much space either, meaning you can also place it in your room or put it in the closet whenever you’re not using it. The adjustable size is another useful feature you will require to help find the perfect position for your height. This way you will avoid unnecessary stretching or bending, staying in uncomfortable positions, and tiring your eyes. In the long term, an adjustable violin stand will prevent eye problems and back pains. Another accessory that you cannot live without is a second set of violin strings. Depending on how often you play or practice, as well as your skills and the strings’ accuracy, you will have to change them every few months. Violin strings can also break, especially if you’re a newbie. We suggest trying out several brands and sizes before finding the type that works best for your own violin. Once you find out the most suitable strings, stick to them and reorder them every time you need new ones. 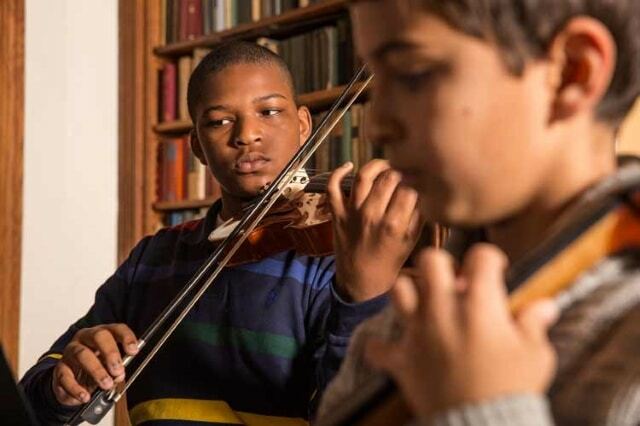 Everyone hates an instrument out-of-tune, and this will most likely happen no matter how good your violin skills are. A regular, brand new violin tuner should definitely be on your shopping list, but watch out what you buy. There are several types of tuners on the market but you could also get by with a smartphone app if you don’t want to spend your money just yet. Electric tuners are easier to use, and they will tell you exactly which strings are in tune by flashing a green light. If one of the strings is out of tune, the light will turn red. On the same note, you will also require the help of a metronome, especially if you are a student. This device will help you keep the tempo and improve your playing skills in time. Violins can be extremely expensive, depending on the type of wood used for manufacturing them or their brand. Needless to say some of them, like the famous Stradivarius, can reach a market value of millions of dollars. However, no matter how much you are willing to pay for such an instrument, you will need a protective case to make sure you’ll keep it safe from scratches, dust, and harsh weather conditions. Protective cases come in various sizes, shapes, and materials, so learn how to pick the right one according to the size of your violin. We suggest selecting one with a cushioned velvet interior that will better absorb shocks and will prevent your instrument from impacts and damage. The exterior should be weatherproof and resist against low or high temperatures, as well as heavy winds, rain, snow, and dust. Look for cases that come with both handles and a shoulder strap to ensure easy transportation, without hurting your back or shoulders. Look for straps that are durable and made of soft materials to avoid scratches or irritations if they touch your skin directly. Soft cases are recommended if you plan on traveling a lot and you need a lightweight item as a hand luggage. However, these cases won’t provide the same protection, so we don’t recommend leaving your violin out of sight. The humidity in the atmosphere can also influence the quality of the wood and the strings of your instrument. Extreme dryness or moisture can affect the quality of the sound and destroy your violin in time. An environment that is too wet can determine your strings to be out of tune because they stretched out, while dryness can cause cracks in the body of your instrument. Therefore, we strongly recommend you purchase a room humidifier or check the humidity conditions in the place you are going to play or rehearse. 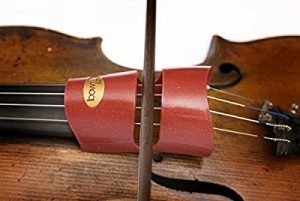 You can also choose products that are directly stuck in one of your violin F-holes to maintain an optimum level of humidity. For best results, make sure to store your musical instrument in its case whenever you are not using it. Looking after your violin doesn’t only imply storing it in a protective case and forgetting all about it later on. To make sure it lasts longer and remains in excellent condition, clean your violin using a soft cloth. This will get rid of all your digit prints, grease, oils, and potential stains, protecting the wood surface and preserving its original shiness. A piece of cloth is also useful to get rid of extra dust or resin, but make sure you use a different one to wipe the strings and fingerboard to avoid spreading these residues all over the body of your violin.